Lyrica Okano as Nico Minoru. Following the dramatic climax of Runaways’ first season, the team of superpowered kids are on the run and realizing that their friendship might be the only thing that can keep them alive. The latest trailer for the show’s second season doubles down on the importance of the kids learning how to wield their powers to protect themselves, but it also introduces a hell of a lot more magic into the mix. And it looks really cool. Some of the biggest questions about Runaways’ second season have been about how and whether the show would begin to delve into the more mystical and supernatural elements of the source material, since they begin to pop up once the rag-tag team breaks free from their parents. 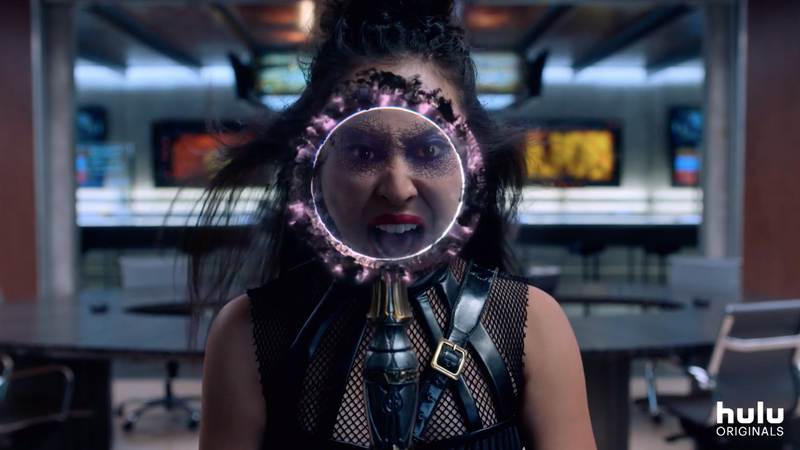 Throughout most of the first season, Nico’s (Lyrica Okano) powers were wholly attributed to her access to her mother’s technologically-advanced staff that could effectively mimic a variety of magical feats. But the new footage suggests that the next time we catch up with her, there’s going to be a bit more to her abilities than the series has let on. Oh, also there’s a vampire, because of course there is. Newcomer Jan Luis Castellanos is joining the cast as Topher, a character who, in Marvel’s Runaways comics, was a vampire the group first encountered while hiding out in the abandoned hostel that became their new base of operations. It’s also interesting to note that the new season’s going to touch upon Karolina’s extraterrestrial heritage—and wonder what that thing is that the Pride is trying to wake up beneath Los Angeles. Runaways returns to Hulu on December 21.